I learned my most useful life lessons in the middle of my fifteenth year. In Indiana, where I grew up, you could get a learner’s permit to drive, with adult supervision, at fifteen and a half. As it happens, I’m a January child, so that benchmark fell in mid-summer. My school didn’t have the funding for a driver’s ed class in summer. Actually, I’m not sure they even had one the rest of the year, but anyway, my father decided I would enroll at the private driving school where he had learned the rules of the road as an adult immigrant: The Indiana Driving School. The curriculum featured a handful of lectures delivered in a monotone at the facility, which was a one-room walkup near downtown, and a handful of films seemingly made by the same people who made those high school ‘health’ films. The room held about ten or twenty students, and out front, on the street, were two used cars comprising the school’s fleet. We didn’t get to actually sit in those cars for about a week, during which we soaked up valuable driving hints along with the normal rules of the road. It’s these that I find myself returning to time after time as life wisdom. You will tend to go where your eyes go. The specific application, of course, was in maintaining your lane while driving, but I have found it to be true, at least metaphorically, in general as well. Get the big picture. Look past the nose on your face to the context. Self-explanatory. Leave yourself an out. Big one, here, my friends. On rare occasions, I have forgotten this piece of advice, and always regretted it. After the first week, we got to actually drive a car, three students and an instructor packed into a Nash Rambler. That was when I learned my biggest life lesson. I was driving and, I thought, doing very well, thanks, when I cut a left turn at a stop light too close and nipped the front bumper of a car waiting at the intersection. I freaked. “What should I do?” I asked the instructor beside me. “Step on the gas and don’t stop until I tell you,” he said, sinking down into the seat.. Lately, I’ve seen a number of editorial comments comparing Trump to the Roman emperor Nero. This is an outrage. Nero was marginally competent as an emperor. If you want a Roman comparison, try Commodus, who renamed Rome Commodiana to honor his divine self. Like Trump, he was born filthy rich, the son of the otherwise commendable Marcus Aurelius, who elevated him to the rank of co-emperor at the age of 15. Then Marcus had the gall to up and die three years later, leaving his son sole emperor of Rome at the age of 18. Note the uncanny resemblance to Trump’s alleged hair. 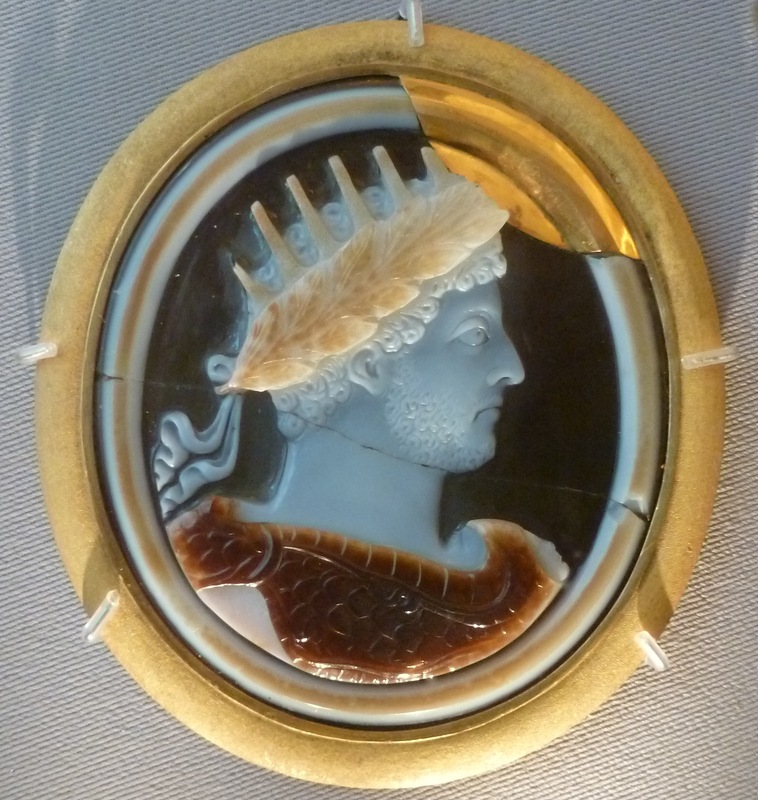 One Roman historian, Dio Cassius, tells us that Commodus ruined Rome, turning it from a kingdom of gold to one of “iron and rust.” He did this by completely ignoring his imperial duties and spending his time glorifying himself, including changing the names of the months to reflect the twelve names he had acquired while emperor. Fortunately, none of it stuck. Although ‘Commodiana’ has a certain, er, ring to it. For future reference, in case America continues it’s death spiral. In the end, Commodus was strangled in his bath by his favorite wrestling partner. Now we know why Trump fired Bannon. When I was a kid in the third grade at St. Phillip’s school, my father decided I should take piano lessons. The basis for this was my recent obsession with this new singer on the pop horizon by the name of Elvis Presley. He sounded like nobody I had ever heard before, or, rather, like everybody I had ever heard before at once. He played guitar, although as little as possible, so I wanted a guitar, too. My father, sensible beyond all reason, thought I would be a better musician if I learned to play the piano first, and then branched out from there. He either didn’t notice or didn’t care that what I really wanted was to be a rock and roll star, wriggling and hooting my way to popularity and fame; in my child’s mind the two were indistinguishable. If musicianship was a requirement of that, I was happy to go along, but to a point. Elvis, as I said, played his guitar as little as possible, leaving musicianship to the musicians in his band. Never mind, Dad wanted me to take piano lessons. He had played violin before the war, and loved music, but had abandoned it, along with much else of beauty, after the war spat him back out. He didn’t understand Presley and rock music, except to acknowledge their financial potential. “The more they wiggle, the more money they make,” he used to say. It was his own fault, in a way. He worked at RCA record division, at the plant that pressed the vinyl into music. As a perk, the company let him take home six albums every couple of months, his preference. He had no preference. As a result, the take-homes were random, everything from Stravinski to Homer and Jethro, and whatever lay between. In those days, RCA pressed the records for a lot of smaller companies too, so the range was wide as the world. At the same time, the radio music scene in my city was the epitome of eclecticism. In a single hour on the same show, you could hear Mario Lanza, Hank Snow, the Platters, and Elvis. I had no idea until much later on that you were supposed to pick a genre and ditch the others. I made no artistic distinction between Ezio Pinza and Elvis. But I knew the other kids at school and around the neighborhood were crazy for the latter, and not the former. It didn’t hurt that Elvis had this rebel persona. Suffocating in my staunchly religious family, I immediately identified. When my father told me I was going to take piano lessons, like it or not, my dreams came crashing down. First, he had effectively coopted my ambition, spun it around until it was unrecognizable, and made it his own. I couldn’t imagine anything less rebellious than piano lessons at St. Phillip’s. I thought I knew the terms of that, and I didn’t like them. My friend Wayne was the only guy I knew who was doing that. Every day at 3:00, the rest of us would line up to leave the school and enter the free world; I would see Wayne trudging across the playground to the convent to take his lessons, always after school, and, it was darkly rumored, sometimes on the weekend as well. The convent! The actual lair of the creatures whose lives were dedicated to stripping the joy from ours! Who knew what torments Wayne endured there? Many years later, he told me it wasn’t at all bad. I’m still not sure I believe him. I knew what had to be done. I resisted with all my might, and discovered that my father had given me the very thing I thought he was stripping away: an opportunity to Be a Rebel. I marshalled every argument I could think of, mostly involving how much time would be lost from my other studies (in the third grade! ), or how I would have to be late for dinner a lot, a cardinal sin in our house. I stomped and put on magnificent silences, I exiled myself to my room. In the end, against all expectation, I prevailed. He gave up. I was on cloud nine. I got my guitar eventually, and hacked away at it. By that time I was into folk music, and regarded music lessons of any sort as too gentrifying for my tastes. My tempo was ragged, and I was king of the 13 bar blues. I discovered jazz about that time as well, and predictably played guitar less and less as I realized how abysmally incompetent I was compared to the musicians I admired. I made a hash of it, like most things. The only abiding result of all of that was a growing regret that I had talked my father out of those piano lessons. If you won’t go to the convent, it seems the convent will come to you. Snow. That’s what we called it, snow. No polar vortex, no bomb cyclone, no Winter Storm Fred or anything like that. Snow. If it got so thick you couldn’t see past your outstretched hand, it was a blizzard; that was about the extent of our parsing of winter weather. But wait, you say, people are suffering losses, some are even dying. That’s true, and it’s just as lamentable now as it was before the storm of jargon came spewing out of weather centers. I daresay the casualties were worse back then, in the mid 20th century, before forced air gas heating, heat pumps, whole house generators and hyper-insulated houses. There were only two realistic choices: coal or oil, and both systems worked on the principle of convection. Worse, if a winter turned out to be especially long or cold, you could run out of either, and be hard put to get more of it in a reasonable time. People froze. It was winter. But for every downside there’s an upside. The snow was a cash cow for us kids. We’d go trundling up and down the street shoveling sidewalks for a buck a pop. We would have charged more for driveways, but there were no such things in my neighborhood, just alleys covered with soot from the ubiquitous trash fires. My eyes still glaze over in nostalgia whenever I smell garbage burning. On a good snow day, you could end up with ten or fifteen bucks in your pocket by noon, a small fortune for a ten or twelve year old kid in the 1950s, and still have time to spend the rest of the day sledding down a steep hill into traffic. I never made that much; I felt rich as soon as I hit five bucks, and went about finding ways to spend it. But that was me. I also collected coins in specially made books with slots for each year back to the Upper Paleolithic, but I never filled one. I spent that, too, as soon as enough money to buy something accumulated. We’d also have fun “skitching” rides on the perennially unplowed streets. That involved sneaking low behind a car at an intersection, grabbing the bumper, and getting pulled along, sliding on the packed snow. Even getting caught was fun. We’d pelt the furious driver with snowballs and run away. There was one time, though, that a cop caught us putting snowballs into a mailbox. He informed us solemnly that he was letting us go, but that tampering with the mail was a federal crime, and he couldn’t vouch for what the FBI might want to do. I had nightmares about J. Edgar Hoover for a week after that.